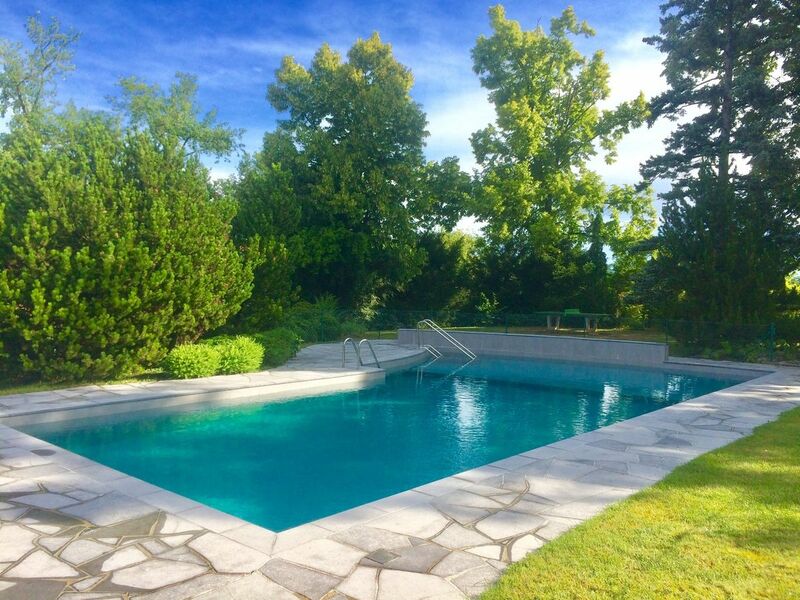 Cardis SA - Genève - Superb 6 room villa near the village of Vésenaz. 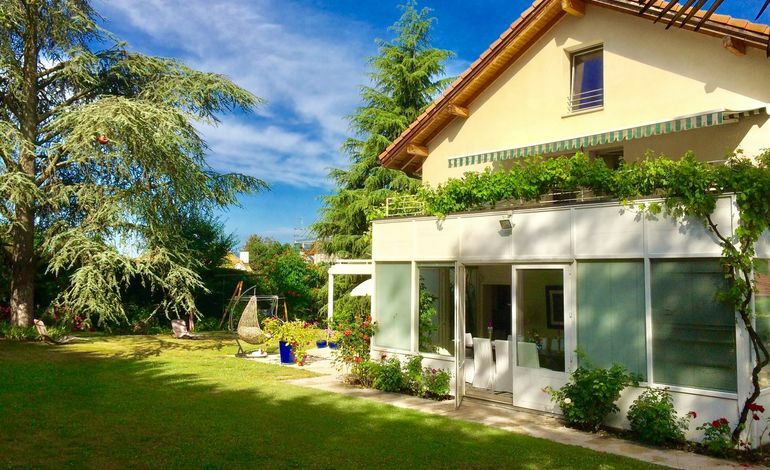 Superb 6 room villa near the village of Vésenaz. 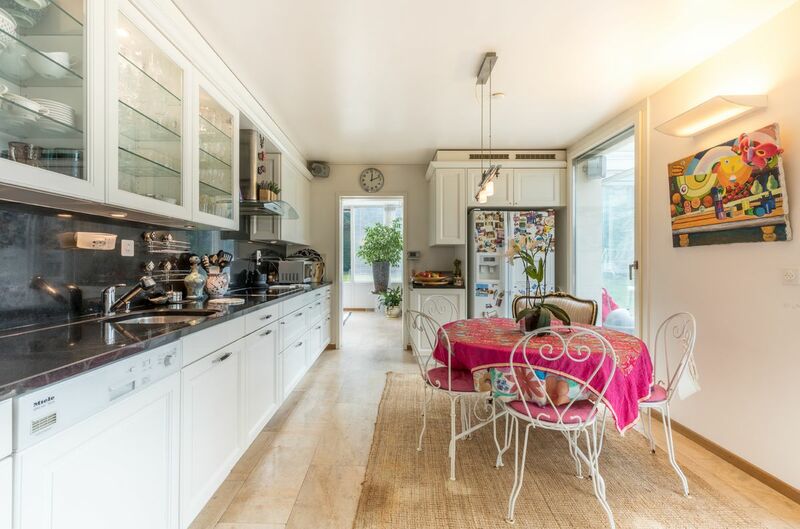 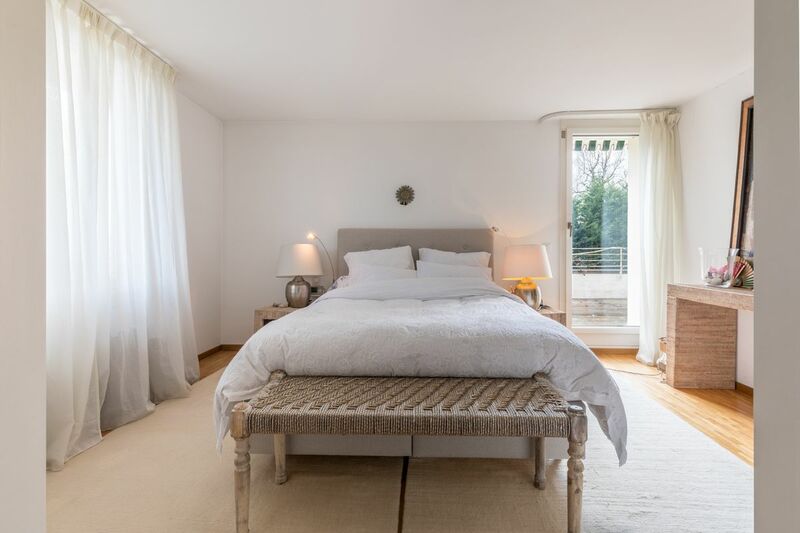 Located in the charming neighbourhood of Vésenaz on Lake Geneva’s left bank, this beautiful semi-detached house lies in quiet, leafy surroundings. 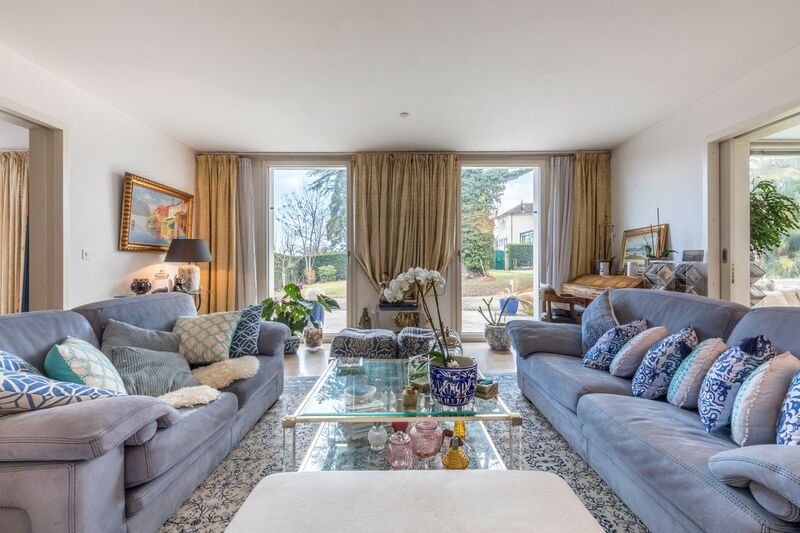 Set amid extensive grounds within a complex, it offers secure underground parking and a communal swimming pool, as well as easy access to essential amenities, including shops and public transport. 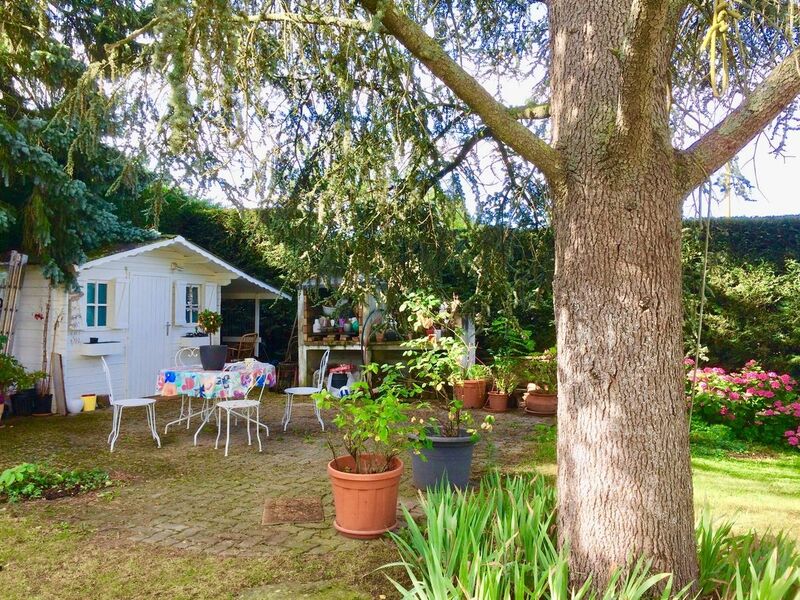 The Montessori private school for children aged three to 12 is just a few minutes’ walk away. 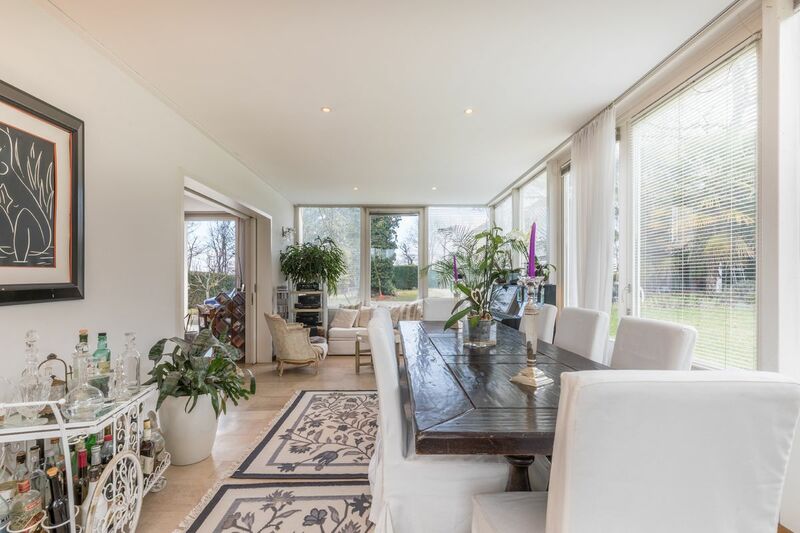 Built on a beautiful 1,500 m² plot, the house enjoys a living area of 210 m² and a total area of 339 m² spread over four levels. 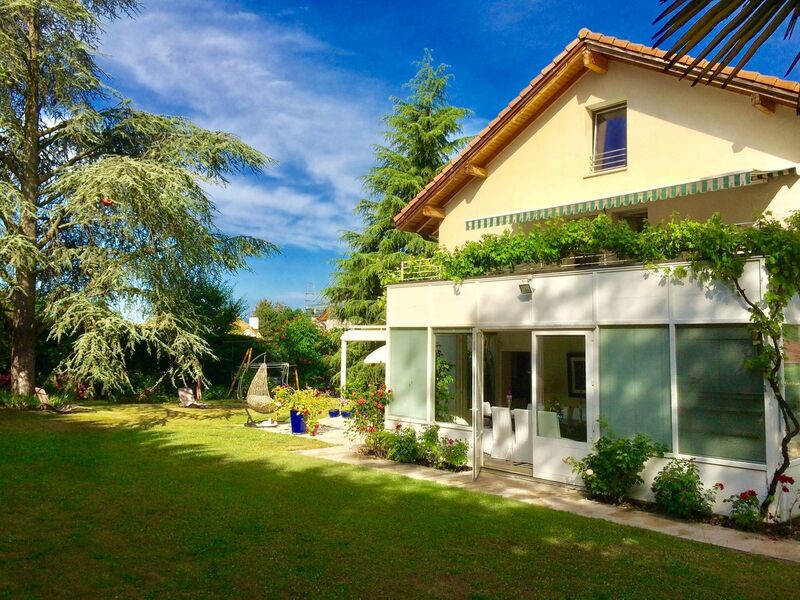 Fully secure, this villa offers ample storage space throughout, a temperature-controlled wine cellar, separate studio and a summer conservatory. 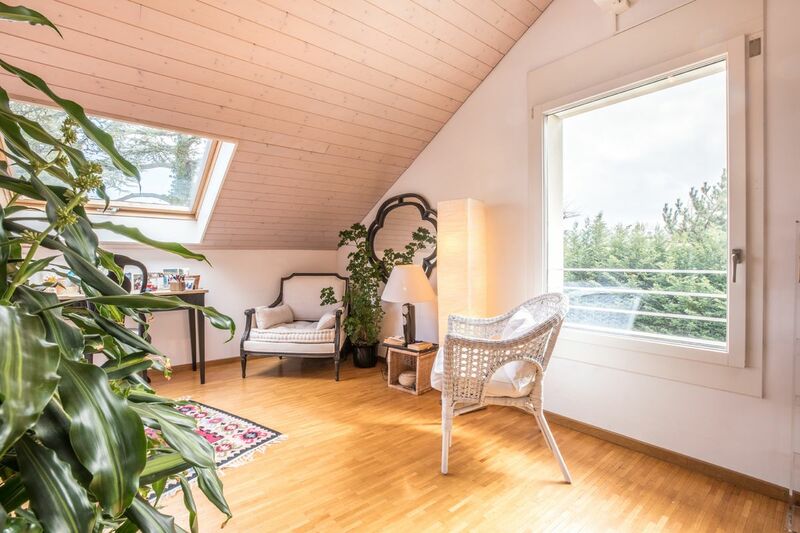 The reception areas enjoy optimal sunlight throughout the day, whatever the season, thanks to the S/E/W aspect and large windows. 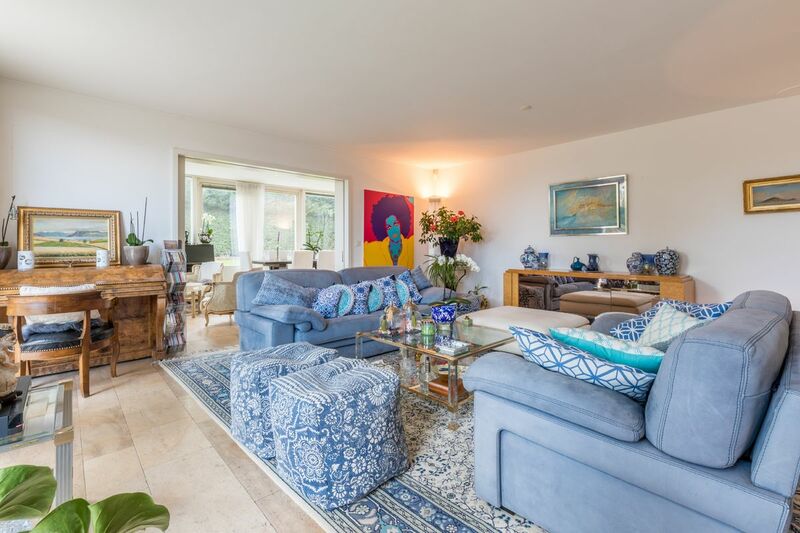 Entirely enclosed and landscaped, the property includes secure underground parking, a carport for four vehicles and plenty of parking spaces for visitors. 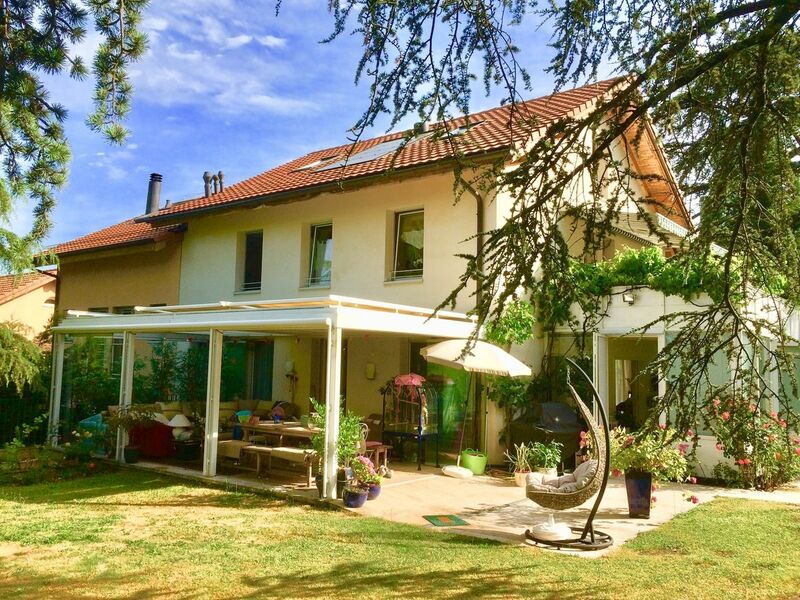 A shaded summer terrace with a kitchen area, barbecue and superb view of the Jura is the ideal place to spend summer evenings. 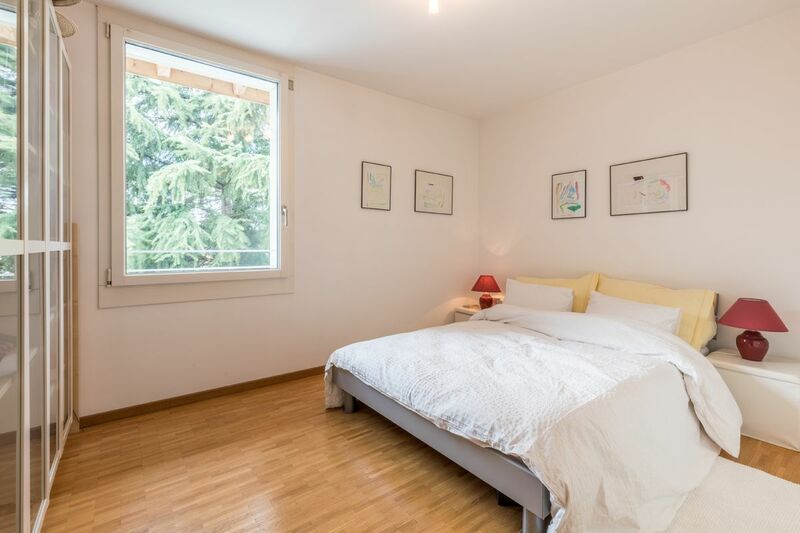 - Two bedrooms, one with en-suite bathroom. 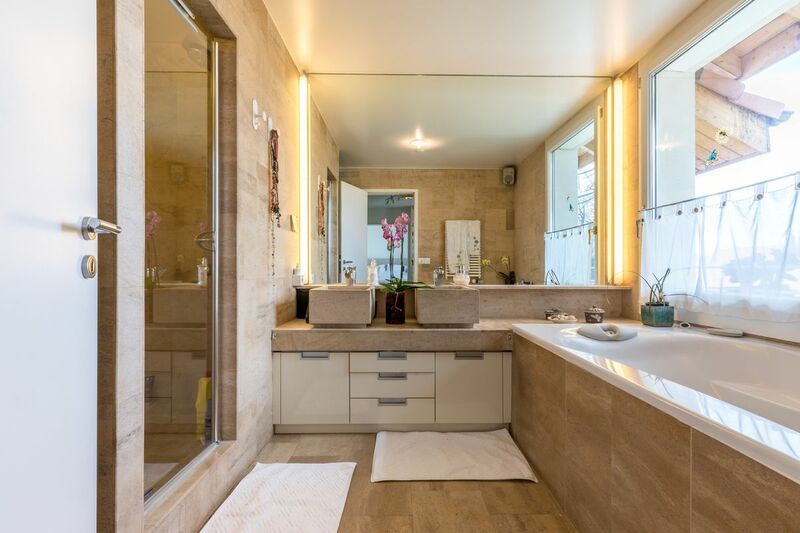 - Master suite with dressing room, bathroom with bathtub and shower, and private 25 m terrace.